The United States boycotted the U.N. negotiations to ban — everywhere across Planet Earth — nuclear weapons. So did a few other countries. Guess which ones? The international debate over this historic treaty, which became reality a week ago by a margin of 122 to 1, revealed how deeply split the nations of the world are — not by borders or language or religion or political ideology or control of wealth, but by possession of nuclear weapons and the accompanying belief in their absolute necessity for national security, despite the absolute insecurity they inflict on the whole planet. America serves up its news in a caldron from hell, or so it sometimes seems. The fragments are all simmering in the same juice: bombs and drones and travel bans, slashed health care, police shootings, the Confederate flag. Suddenly I’m thinking about the statues of Confederate generals taken down in New Orleans, the Confederate flag yanked from the state capital in Columbia, S.C. . . . and the secret flag the authorities can’t touch. Ray Tensing was wearing such a flag — a Confederate flag T-shirt — on July 19, 2015, while he was on duty as a University of Cincinnati police officer. That afternoon, he pulled over Samuel DuBose because of a missing front license plate. Less than two minutes into the stop, DuBose — a dad, a musician, an unarmed black man — had been shot and killed. A door opened for me on a Wednesday afternoon, as I was trying to finish a column. This is not a door I would have opened by myself. So the Tribune Company, for which I had worked as an editor for 14 years, opened it for me. The year was 2009, when financial disaster was commonplace and doors were flying open everywhere. In fact, the Trib had been undergoing a serious jettisoning of employees for the past year, but of course I felt secure. And then on that May afternoon, as I was about a dozen paragraphs into almost my five hundredth column . . .
“The desperation of our military efforts is showing around the edges of the carnage and tragedy.” I had written. “This past week has brought three official U.S. denials that we have done what eyewitnesses and/or other evidence indicates we did: a) used white phosphorous as a weapon against Afghan civilians; b) killed nearly 150 Afghan villagers in a sustained bombardment; c) killed a 12-year-old Iraqi boy as he stood innocently by the side of the road selling fruit juice. World War II never quite ended — it morphed. World War II has been going on for seven decades now and has no intention of ever stopping . . . of its own volition. But this year’s rocking electoral craziness — not just Hurricane Donald, but the unexpected staying power of the Bernie Sanders campaign — may well be the harbinger of transcendence. Apparently there’s another force in the universe capable of standing up to the American, indeed, the global, military-industrial status quo. I sit here in a deep sort of writer’s block. Writer’s void. The black hole. I want to write about restorative justice (and I refrain from capitalizing it just now because that deifies it and right now I can’t cope with something so big, so important; I have to bring it down to my size) … I want to write about restorative justice because I can’t think of anything bigger or better to do with my life than, well, save the world, or at least save my city, Chicago. This is a conflict apparently too complex to understand. The U.S. brokered a ceasefire with Russia, then proceeded to lead a bombing strike that killed 62 Syrian troops, injured another hundred — and gave tactical aid to ISIS. Later it apologized . . . uh, sort of. For the first phase of the partnership, the POEFF chose the fearless and provocative FSM film, Sounds of Freedom, for the 2012 Dialogue for Peace (DFP) Outreach Program in schools. In Sounds of Freedom, students from FSM at North Lawndale College Prep, take the audience on a journey from deep in Chicago’s inner city to the Arab Spring in Egypt, delving into what freedom means to different people. In January 2012, POEFF Directors will pilot curriculum specifically designed to Sounds of Freedom in a Chicago Public School. We believe that films on the themes of freedom, social justice, nonviolence and tolerance, created by high school students, can have an immeasurable impact on their peers. FSM’s peer-to-peer approach to filmmaking addresses some of the toughest topics, while exploring nonviolent and peaceful alternatives. The POEFF is proud to partner with FSM in order to highlight their outstanding work with underserved urban youth, and to support our mutual use of the medium of film to teach, to enlighten, and to speak out, and most importantly, to serve the greater good. Stay tuned for the POEFF’s announcement of the second phase of our partnership with Free Spirit Media in 2012! The winner of the 2011 POEFF’s Best Short Narrative and winner of the Student Choice Award for Most Inspiring Story was Ronan’s Escape, by filmmaker A.J. Carter, www.ronansescape.com. I am blogging about this outstanding and very disturbing short, because of the seemingly unrelenting media coverage of teen and preteen suicides. This is not a critique of the media coverage – this subject needs to be out in the light of day. I only hope that the media coverage continues and that bullying doesn’t become just another part of the human condition that is dysfuntionally accepted because “kids will be kids.” The madness of children being pushed to the brink and ending their lives because of bullying and gay bashing is just unacceptable – and should be unacceptable to all of us, whether we are parents, teachers, administrators, neighbors, or just someone walking down a street who witnesses a kid being taunted, bullied, or worse. I highly recommend A.J. Carter’s film to get the anti-bullying dialogue going with both children and adults. Ironically enough, Ronan’s Escape uses very little dialogue, but the impact of this film is immeasurable. Ronan’s Escape overwhelmingly was voted the winner of the Student Choice Award for Most Inspiring Story at the 2011 POEFF’s Student Voices for Peace Showcase, in part because it stirred passionate discussion with the student audiences (a mix of grades 6th through 12th). You may be surprised to hear that the students didn’t need any adults providing solutions to the problem of bullying. The students were very clear: zero tolerance in schools; dismissal of students who bully, counseling for the victims and the bullies (many students felt that bullying is a learned behavior), and immediate action by families, teachers and administrators, no matter how big or small the occurrence. There was one more solution, perhaps the most potent: students taking responsibility to speak up and act when they are the witness of others being bullied. Report the incident and support the victim. Report and support…doesn’t seem too complicated. If young people in 6th through 12th grade can step up and shoulder some of the responsibility, I think the rest of world can too. Start by screening Ronan’s Escape with the children who matter most to you, add their friends to the mix, invite the neighbor kid who seems to exist on the outside of the inner circle, talk to your school and community center about bringing the film there. And don’t be concerned about having all the answers…trust me, the kids already know the answers, we just have to show them that we are listening and that we care. I hope everyone in the vicinity of the Chicago area will join Master of Ceremony, Nick Angotti ( Exec. Director and Co-Founder), of the Peace On Earth Film Festival and the Chicago Build the Peace Committee, at the PEACE DAY CELEBRATION, at the R.J. Daley Center Plaza, on Friday, September 23, noon to 1:00 p.m. The Chicago Build the Peace Committee presents a Call to Peace, with world music, cultural performances, speakers and a ceremony including flags of the world. This free annual celebration speaks to all races, cultures and beliefs, in the possibilities for all of us to live together in peace. Peace is possible, but it takes all of us doing our part in our own little corners of the world. One way those of us in the Chicago area can do our part is by simply showing up and supporting an event like this one. The collective presence of like-minded people is a powerful force for change. If you need to light a fire under yourself to show up for peace on Friday, take a read of our friend Bob Koheler’s latest article: http://commonwonders.com/world/the-old-integrity/ Bob is an amazing writer who conisistently burns through the bs to the truth. Read up and see you Friday!! Three days after the 10 year anniversary of 9/11, I stood in my kitchen at 5:30 a.m., preparing my lunch for the day, when suddenly I was struck by profound feelings of sadness and fear. It had taken a few days, but the reality and reminders marking the 10th anniversary finally made their way through me. As the tears fell, there was a familiar feeling of helplessness about the world filtering through my thoughts. The images and words of the week leading up to the anniversary, and in the days that followed, were suddenly very fresh and very disturbing, in the dark before the dawn inside of my kitchen. I thought, “What can any of us do?” At that moment, as my mind replayed images of family members seeing the Twin Towers Memorial for the first time; I heard: “I let go of fear. I am peace.” These two statements repeated inside my head again and again, almost as though they were being whispered to me…until I heard myself saying them out loud – very quietly at first, and then with a steady almost chanting cadence. I let go of fear. I am peace. In the Peace On Earth Film Festival’s Dialogue for Peace Outreach Program, we use several profound peace quotes to inspire participants to contemplate, dialogue on, and imagine through art, a world where a particular peace quote is a constant reality. One of those quotes is from Ghandi: Be the change you wish to see in the world. We are so excited to start spreading the word about the 2012 Peace On Earth Film Festival, as well as the many community and school-centered programs that we share for free year-round. To kick things off, we are pleased to announce that on Peace Day, September 21st , in cooperation with Build the Peace Committee, Chicago (http://www.buildthepeace.org/) and The Peace School (www.peaceschool.org) the Peace On Earth Film Festival’s Dialogue for Peace Outreach Program has been specially packaged for the Chicago Public Schools (CPS) here in Chicago. CPS teachers will be able to select from three Peace On Earth Film Festival Selections, along with our curriculum to inspire and encourage solution-oriented dialogue on peace and nonviolence starting in the classroom. The three films selected by the POEFF Directors that can be downloaded from our web site are Love Your Enemies by Kristen Miller, 2010 POEFF Animation Selection, Flags by Mattan Cohen, 2011 POEFF Student Selection; and Namaste by Sarah Miller, 2010 POEFF Student Selection. In addition to the Dialogue for Peace Outreach for CPS during Peace Week, Kristen Miller’s film, Love Your Enemies will also be playing in a continuous loop at the Chicago Children’s Museum on Thursday, September 14, from 5:00 p.m. – 8:00 p.m., as part of the Museum’s Children and Families Event, which is part of related Peace Week activities. On Saturday, September 17, Nick Angotti will be bringing Dialogue for Peace to RainbowBeach, from 11:00 a.m. – 3:00 p.m., 3111 E 77th Street, for Peace Day events that are part of the Jane Goodall’s youth organization, Roots & Shoots. 2010 POEFF Student Selection, Hunger for Change will be featured in two 45 minute Dialogue for Peace workshops presented by Nick. Hunger for Change is a Free Spirit Media film, created by students at Chicago’s North Lawndale Academy High School, focusing on food desserts in Chicago’s inner city neighborhoods. In addition to Dialogue for Peace, other peace workshops and activities for students, adults and families will be presented. 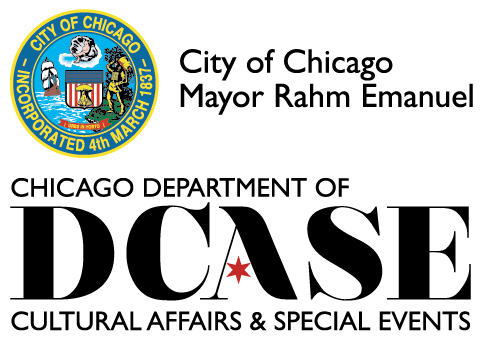 POEFF Exec Dir/Co-Founder, Nick Angotti, is to MC Peace Day Celebration at Daley Plaza, Sept 23, noon to 1:00pm. The Build the Peace Committee presents, a call to peace, with world music, cultural performances, speakers, and flags of the world. The Peace On Earth Film Festival is a Co-Sponsor of PeaceWeek 2011. It’s totally free and features people like Alice Walker, Deepak Chopra, Marianne Williamson, Arun Gandhi, Michael Bernard Beckwith, Daniel Goleman, Jane Velez-Mitchell, James O’Dea, Barbara Marx Hubbard, Avon Mattison, Grandmothers Mona Polacca and Beatrice Long-Visitor Holy Dancer and many more. Calls are recorded so you can catch up with ones you miss.